Pink and white striped straws are a great way to bring the vintage feel to your old fashioned themed party! These high quality pink striped straws are white and feature printed Pink stripes. 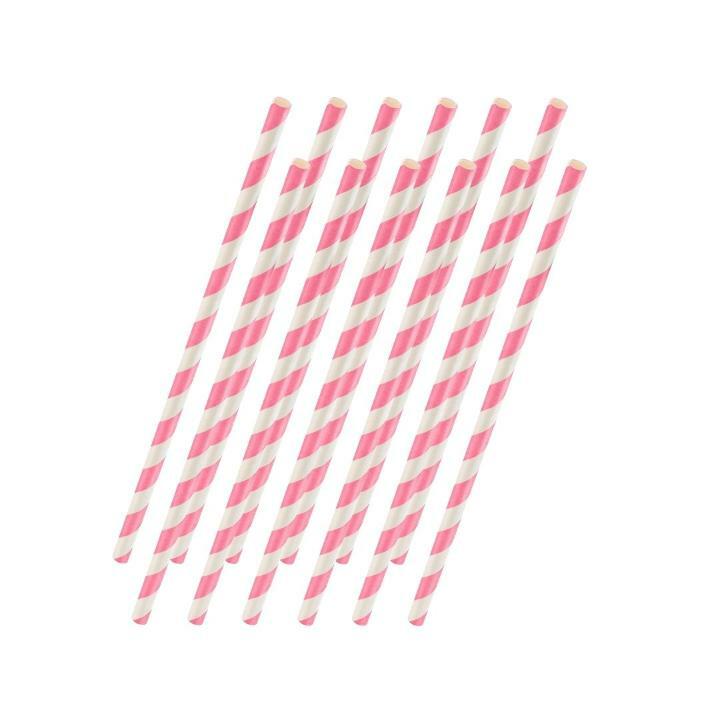 Each package contains 25 splendid pink and white paper straws that are as Eco-friendly as they are cute! Our pink paper straws are bio degradable and FDA approved. 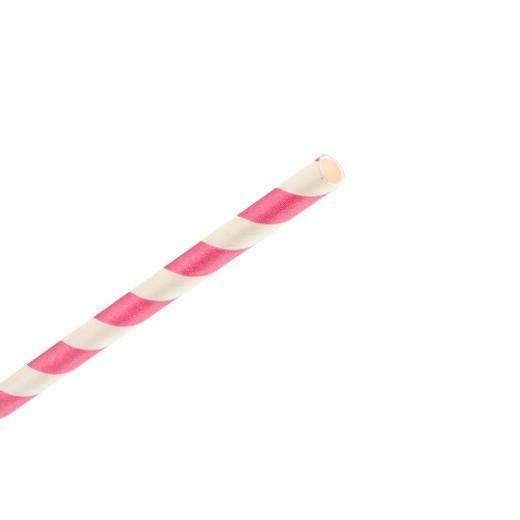 Each pink striped paper straw measures 7.75" long.